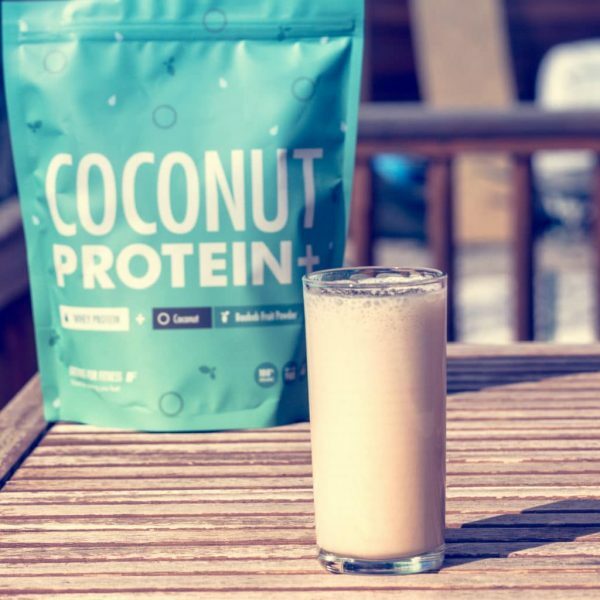 Coconut Protein+ by Fasting For Fitness is specifically designed for intermittent fasting – free from any weird additives, artificial sweeteners, processed sugars, soy, lecithin, emulsifiers or fillers of any kind. 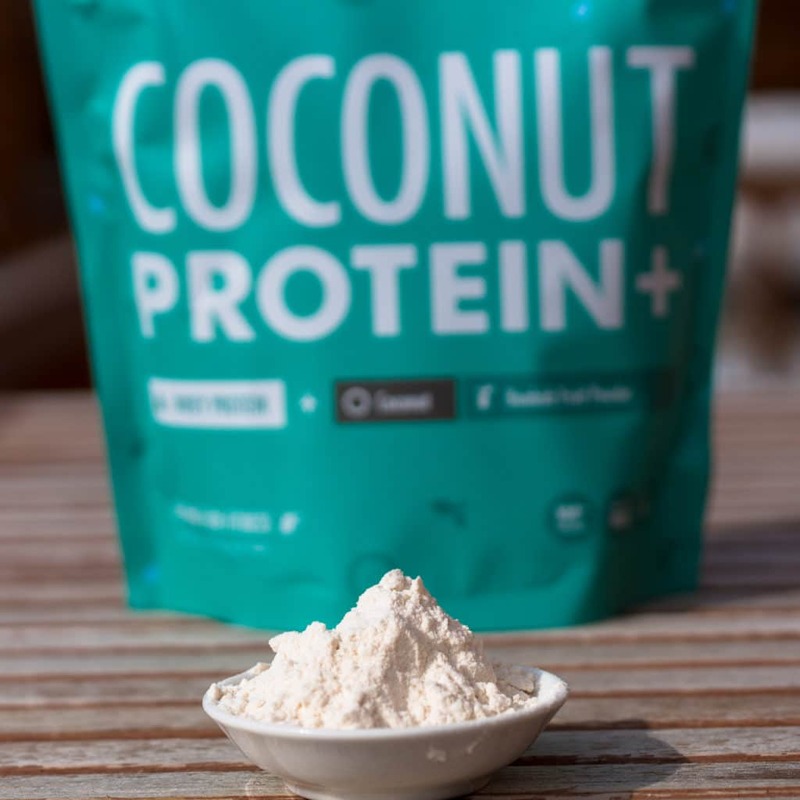 Coconut Protein+ is also perfect for weight-loss as well as Ketogenic, Paleo & Low-Carb Diets or just as a healthy boost for your usual eating program. 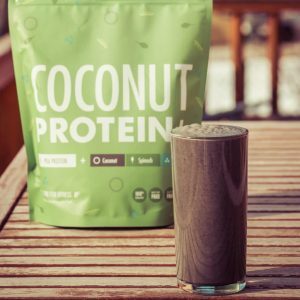 Basically, Organic Whey Coconut Protein+ by Fasting For Fitness is great for anyone…no matter who you are or what you’re into! It contains all Essential & 9 Non-Essential Amino Acids. 💡End your eating window with a delicious whey coconut protein shake – mix one scoop (provided in each pack) of powder with 350ml of organic full fat cow’s milk, shake well & enjoy. Your resting body will love you for it. Find delicious recipes in the FFF Blog. 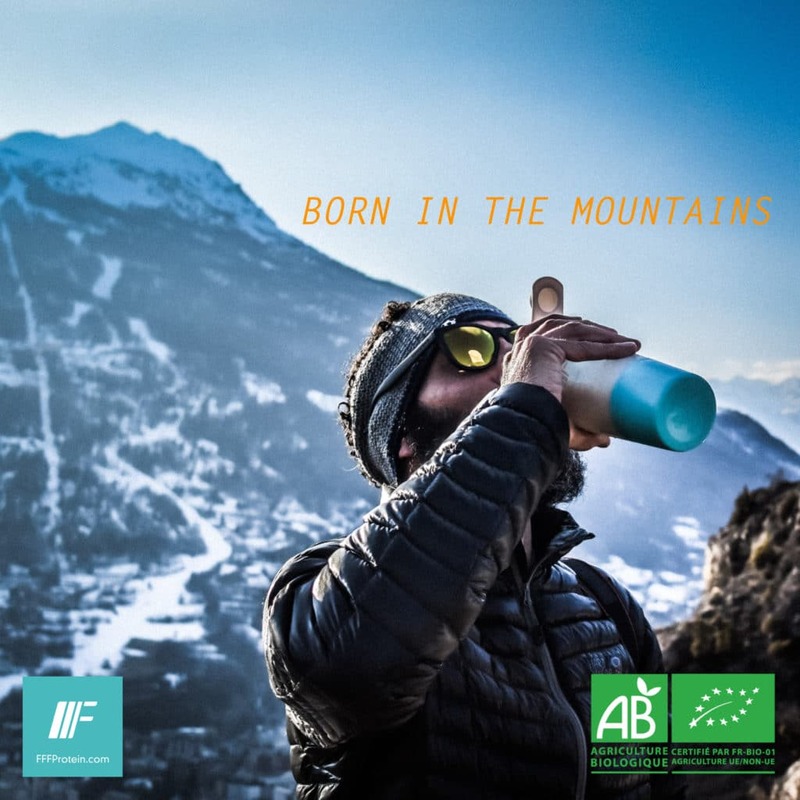 Tested in The French Alps with a passion for the outdoors – our Organic Whey Coconut Protein+ will kick-start your healthy lifestyle. Tastes amazing, my new go-to powder. I love the touch of baobab in this whey. 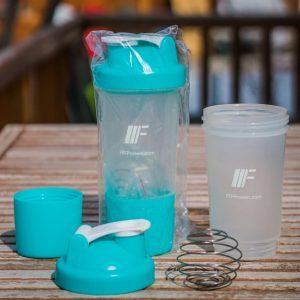 It makes the shake ideal for me when I need to replenish my electrolytes after intensive workout sessions. When blended the coconut bits help create a light texture to the shake which is just how I like it. Thanks FFF 5* from me! 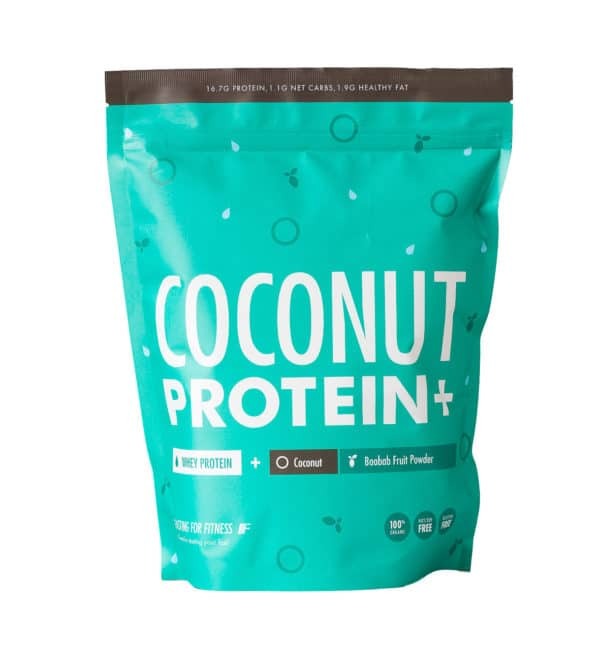 I love the new coconut protein. Works so well post workout. Highly recommended. I have mine with coconut milk but I also like it with almond milk too. Must order more soon! Had to try out my new coconut #wheyprotein by @thefastingforfitnessclub so whipped up these delicious BLUEBERRY PROTEIN PANCAKES ?. 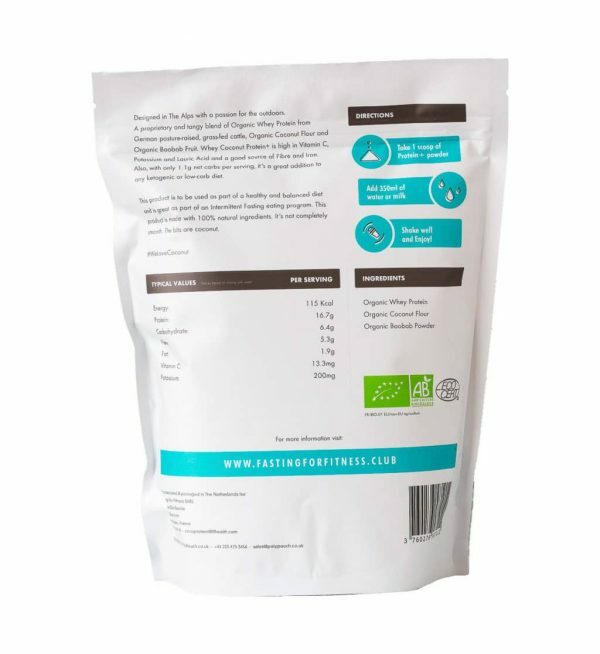 A very clean neutral tasting protein powder that is an ideal base for smoothies and protein shakes, pre, during, or post work out. Great on its own with some almond milk and ice pre workout, otherwise have it post work out with frozen banana or berries, yum it up with peanut or almond butter and cocoa powder. Absolutely delicious. 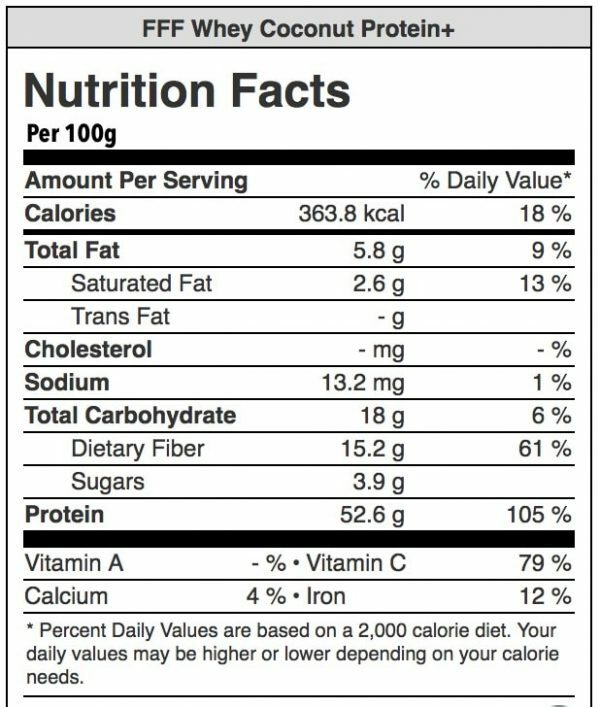 I love the fact it comes from grass fed cows. No noticeable side effects on digestion. Customer for life right here.